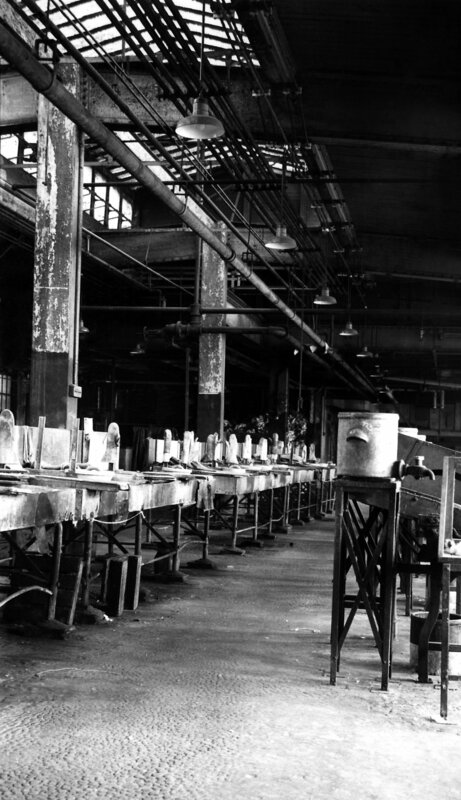 Description: Provided by the Center for Disease Control's (CDC), National Institute for Occupational Safety and Health (NIOSH), this historic image, shot inside a Connecticut fur processing plant, depicted the configuration of a 'carroting' room. Carroting is the process of treating 'hatters'' fur with mercury nitrate, thereby, rendering the fur suitable for manufacturing hats. If precautions were not taken, such as wearing a filtered breathing mask, or gloves, mercury exposure was quite likely, and could have lead to heavy metal poisoning, with severe pathologic neurological consequences. The image was published in the 'Public Health Bulletin', No. 234, in an article entitled, 'A Study of Chronic Mercurialism in the Hatters' Fur Cutting Industry', Fig. 7, 1937.